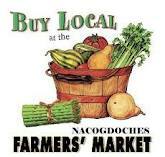 NACOGDOCHES- Roy Rigby and Stanley Jones from Bellebrook Farms will be back this Saturday. They sell 90% lean organic Belgian Blue Beef: ground beef (90% & 98% lean), steaks, brisket, roasts and cheese balls. Things to look for: baked goods (breads, cakes, mini cheesecakes, cookies, fried pies & pies), candles, canned goods (wild-picked jams & jellies including may haw, blackberry, blueberry, muscatine and wild plum as well as jams, marmalades, preserves, chow-chow, pickled vegetables, salsas & relishes), ceramics, artisan Texas cheeses, freshly ground organic corn meal and whole wheat flour, free-range eggs, herbs (basil, coriander, mint, oregano, parsley, rosemary & thyme), dried herbs, local raw honey, jewelry, plants (house plants, bedding plants, fruit trees, trees & whips), smoothies, soaps (lye and herbal), ribboncane syrup, tamales, vinegars and fruit wines. LOCAL PRODUCE: asparagus, frozen shelled beans (butter, baby Lima & pinto), beets, broccoli, cabbages, carrots, cauliflower, greens (arugula, beet, collard, kale, mustard, spinach, Swiss chard & turnip), kohlrabi, lettuce (mixed, red leaf & tasio), frozen okra, onions (green and yellow), frozen shelled peas (black eye, brown Crowder & zipper cream), peas (English & sugar snap), new potatoes, radishes, squash (8 ball, spaghetti, yellow & zucchini), strawberries, sweet potatoes & turnips. If you would like to sign up for the weekly Farmers’ Market email update, please send an email to obriens@ci.nacogdoches.tx.us. You are also more than welcome to visit www.farmermktnac.blogspot.com. Also be our fan on facebook@NacogdochesFarmersMarket. The Nacogdoches Farmers’ Market, located at the “hitch lot” at the corner of West Main and Pearl Streets, is open from 8 a.m. until noon or later every Saturday morning. The market is also open on Wednesdays from 3 to 6 p.m. throughout the busy growing season. If the market parking lot is full, additional parking is available in the Nacogdoches County Courthouse Annex parking lot. Please note that the Farmer’s Market is a “Smoke Free” facility for the health of our customers and vendors. Tennessee Colony- The Texas Christmas tree farm industry has taken a few hard knocks in recent years, and the number of Texas Christmas tree growers has decreased drastically in recent years. Mr and Ms Trees Christmas Tree Farm, located west of Palestine, has managed to survive a recession as well as the historic 2011 drought, and still has plenty of Christmas spirit to spread around! Lufkin, Texas- Show your support for the 30th Annual Texas State Forest Festival presented by Brookshire Brothers by becoming a Friend of the Forest Festival! You will be supporting the largest and best festival in our part of Texas. 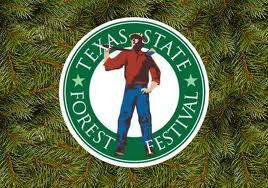 The Texas State Forest Festival has been recognized by both the Texas Festival & Fair Association and the Texas Association of Fairs and Events as the “Best in Texas”. Net proceeds from the festival support not only the Chamber of Commerce but the George H. Henderson Jr. Exposition Center, Angelina Beautiful/Clean and the Texas Forestry Museum. 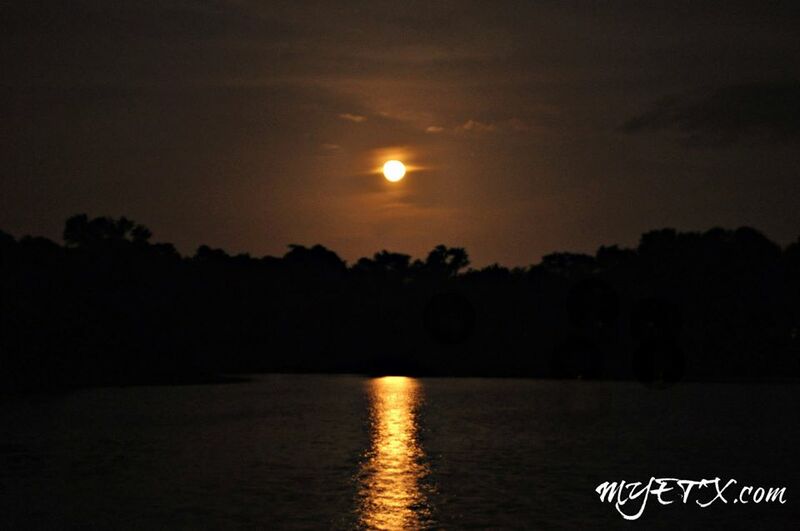 ETX- Did you miss 2013’s closest supermoon? If so, don’t fret! MYETX captured the supermoon for your viewing pleasure!